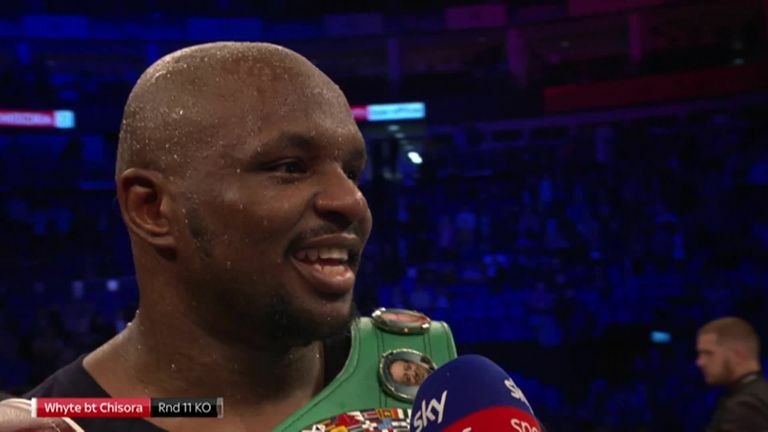 Dillian Whyte expressed "respect" to Derek Chisora after their rivalry came to a brutal end at The O2 on Saturday. 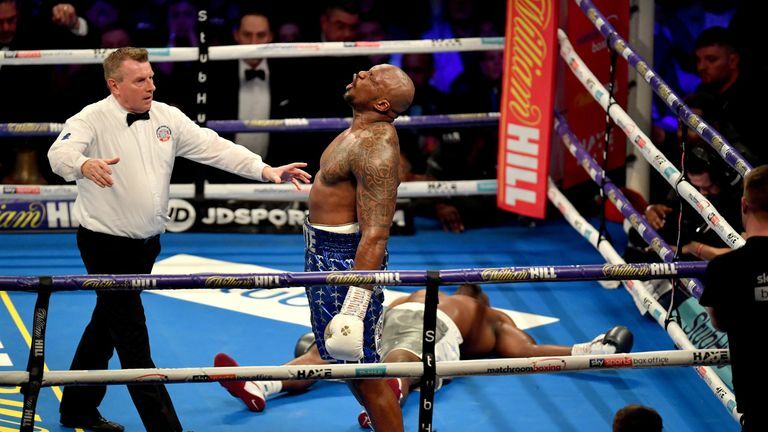 Whyte won their rematch with a colossal knockout in the 11th round, two years after edging a split decision. 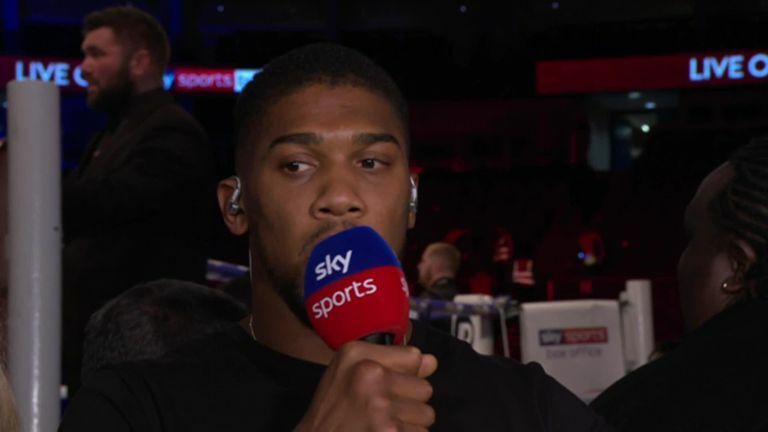 Their feud had including a brawl on The Gloves Are Off, a table thrown at a press conference, plenty of insults and a melee at Friday's weigh-in. But Whyte appeared to bring a close to their animosity at the post-fight press conference, saying: "What a tough man. What a brave man. He has come back from defeat so many times and kept rising back to the top. "Credit to him where it's due. I'm glad that I had him as a dancing partner because, in boxing, you need people you can dance with and create excitement with. "We were backstage chatting. I've done nearly 23 rounds with him - you can't do that many rounds with someone and not respect them." Chisora now has a 29-9 record after a 12-year career but confirmed that he would not yet retire. He has been stopped by Tyson Fury, Whyte, and David Haye and took Vitali Klitschko the distance in his sole attempt to win a world title. Haye, now Chisora's manager, said that he would stick by his man if he had a 39th fight. 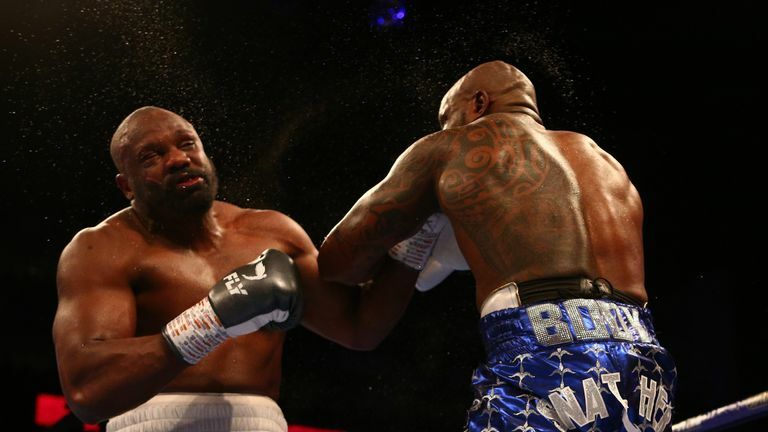 Whyte concluded: "But it's my time now. I haven't had anything easy. It's been hard and it will get harder."